There’s only one thing better than riding in the Dolomites, and that’s riding across them. The Dolomites Point-to-Point harnesses everything we love about road cycling, and matches it with the sense of adventure that comes with riding point-to-point. The result is a truly epic week on the bike, from Venice to Lake Como, over high mountain passes immortalised by the Giro d’Italia. A journey through culture, climate, language, and geography, the Dolomites Point-to-Point is a road cycling adventure to remember. 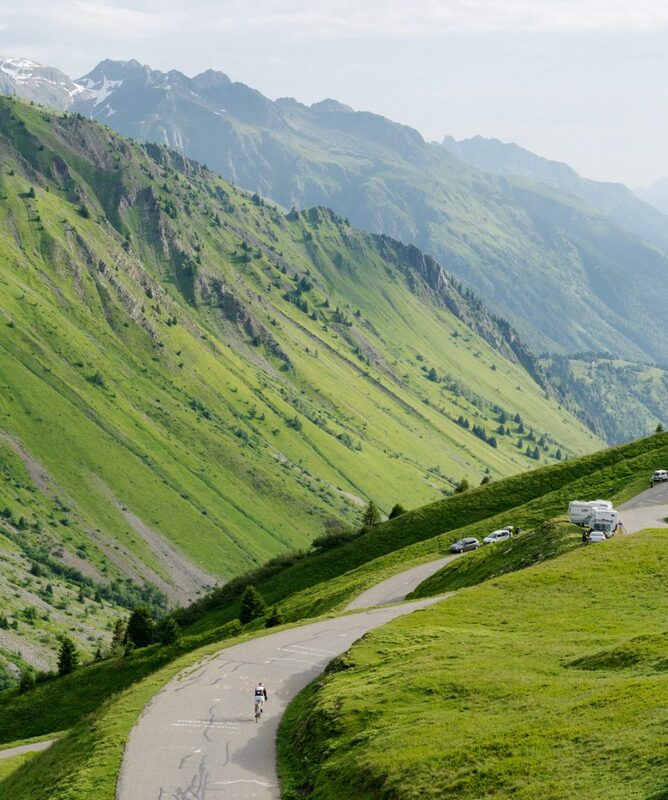 Average of 125km / 3,350m ascent per day over six stages. Arrive in Venice airport where a team member welcomes you. Transfer to Cison di Valmarino. Accommodation: Hotel Castel Brando ****. Cison Di Valmarino – Belluno. 110 km / 3000 m.
Accommodation: Park Hotel Villa Carpenada ****. Belluno – Corvara. 130 km / 4600 m.
Accommodation: Hotel Col Alto ****. Corvara – Merano. 110 km / 1500 m.
Accommodation: City Hotel Merano ****. Merano – Bormio. 100 km / 2500 m.
Accommodation: Hotel Tre Signori ****. Bormio – Castione Della Presolana. 125 km / 3300 m.
Castione Della Presolana – Lake Como. 140 km / 3500 m.
Accommodation: Hotel Silvio Bellagio ***. Transfer from the hotel to Bergamo airport. Each night is spent in a different hotel. We have selected the most suitable ones for this trip, and they vary between ** to ****. On arrival to each hotel, a staff member has already booked you in and taken your luggage to your room. The accommodation is single rooms as a standard, but if you’re travelling with a mate and you would prefer to share a room, please get in touch.